Dallas Cowboys quarterback Tony Romo is planning on doing what he has to do to give the team some room to move under the cap. As Richie wrote earlier, Romo came out this week and said he had been willing to take a pay cut to keep DeMarco Murray in the Dallas backfield. Obviously, it’s a little late for that now--Murray signed a five-year deal with the Eagles over two weeks ago--but Romo told ESPN Radio’s Mike & Mike on Wednesday morning that he’ll most likely restructure his deal at some point in the near future--and he’s still open to taking a pay cut, if need be. 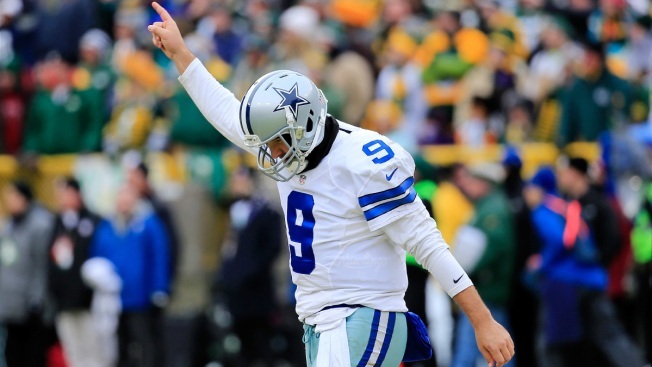 "I'll probably do the restructure here shortly," Romo said, via FoxSports.com. "As far as the pay cut, I mean, I don't think that's a big deal if they ever come ask me for that." According to Romo, this isn’t the first time he’s been open to the idea of taking a pay cut to help the team. "I walked into Jerry and Stephen's office five years ago when I thought we had a chance at getting a defensive player at the time," Romo said. "I told them I would take a pay cut for that, because I thought we needed that as a team."